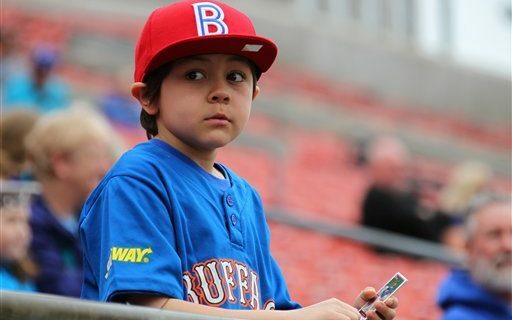 Earlier this week, the Bisons held their annual “What’s new at the ballpark” event at Coca-Cola Field. Sports comedian Jeff Wozer dug into the announcement, and found the top surprises that were announced. • Instead of having a celebrity toss the game’s first pitch he or she will throw the game’s 87th pitch. • Before every game food truck drag racing on Swan Street. • The Celery mascot has been replaced by the Some-Type-of-Half-Eaten-Roll-Found-Near-an-Allentown-Dumpster mascot. • At the end of the 5th inning of every game meteorologist Don Paul will run on to the field wearing nothing but bicycling shorts and a sombrero and attempt to catch a greased pig. • In an attempt to speed up the game at the start of all extra innings a runner will be placed on second base atop a Kawasaki dirt bike. • Until further notice mascots Buster and Chip are quarantined to the outfield berm area due to tick infestations. • If a manager attempts to visit the mound after a 4th time he’ll be arrested for jaywalking. • To attract drunken Bills fans every game will include a 7th inning retch. • Star Wars Night replaced with Manchester by the Sea Night. Read Jeff’s signs that an Amerks player won’t stay in Buffalo, and the top surprises from O.J. Simpson’s interview with the Buffalo News.